I make no secret of the fact that I adore cookery books. 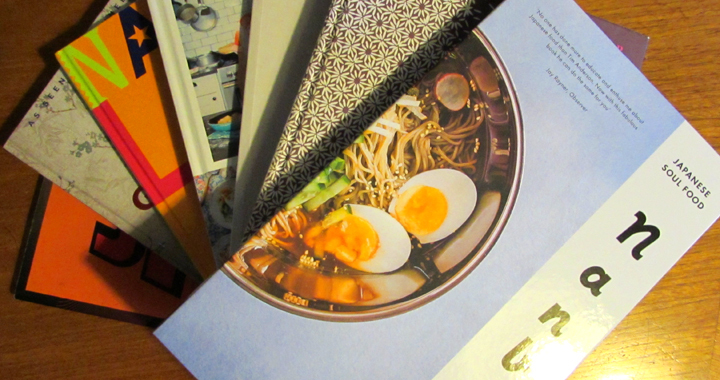 My shelves at home are heaving with recipe books for every kind of food you can imagine, so I suppose it’s not surprising that a fair few of those books are for oriental foods. Of these there are books that I return to again and again and favourite recipes so well loved that the pages are splattered from being cooked over and over again. I thought it would be good to put up something a little different onto my blog to tell you which books I love and why and which recipes in particular you have to try. These recipes books don’t all have ramen recipes in. In fact, they cover a broad spectrum of oriental cooking, from Japanese and Chinese to fusion food. But you’ll be surprised how much these cross over and how well many of these recipes work as a topping or a side dish to ramen. I should note that I always use cookery books as a guideline as I don’t think recipes work so well for your own palate if you follow them to the absolute letter. There are always pencil addictions and changes in the margins of recipes in my books and I am never too bothered adding more of an ingredient if it’s something I love! 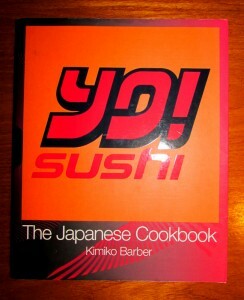 This was the first Japanese cookery book I bought and if I remember correctly, I don’t think I had even visited Yo! at that point. This is a really good book for basic Japanese food, teaching you everything from how to cook the perfect Japanese rice and miso soups, to sushi and gyoza. It has a guide in the front for techniques as well as dressing, sauces and marinades section, which is really helpful. The only slight niggle with this book is the layout in different stages of difficulty, rather than by meat, fish, vegetables etc. But none of the recipes are difficult to do and this is great is you are new to Japanese cooking, as everything is explained clearly and easy to follow. -Chicken Katsu, classic Japanese that is more impressive to serve at a dinner party than it is difficult to actually make! -Chicken and Egg Donburi, which is a perfect example of subtle Japanese flavours used to create a comforting tasty meal. -Green Tea Prawns with Cucumber Salsa, a simple combination of green tea, butter and Sichuan pepper which creates another subtly flavoured tasty dish. I got this book for my birthday and as of yet haven’t had much chance to really experiment with the recipes. However, this is the most breathtakingly gorgeous book and if you buy it to ogle over the pictures alone, then it is a good purchase. 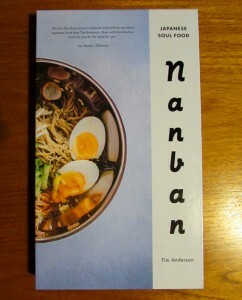 Tim Anderson is a past winner of MasterChef and this book showcases his love affair with Japanese food. The recipes in this book can be quite complicated, so probably more suitable to the more experienced cook, but it has a whole chapter on ramen and also has lots of sides and little dishes that would be perfect sat on top of a bowl of ramen. The other great thing about this book is that it is spineless so that you can open it out and prop it up in the kitchen without fear of its snapping shut and you losing your recipe at an important moment! 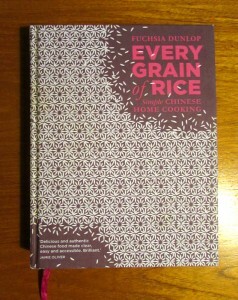 I couldn’t draw up a list of cookery books without mentioning this book. 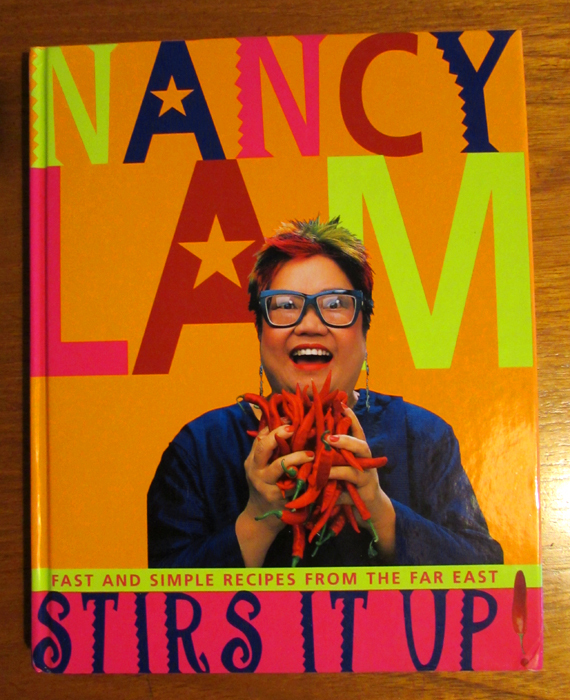 Nancy Lam was a TV chef on Channel5 in the late 1990s. 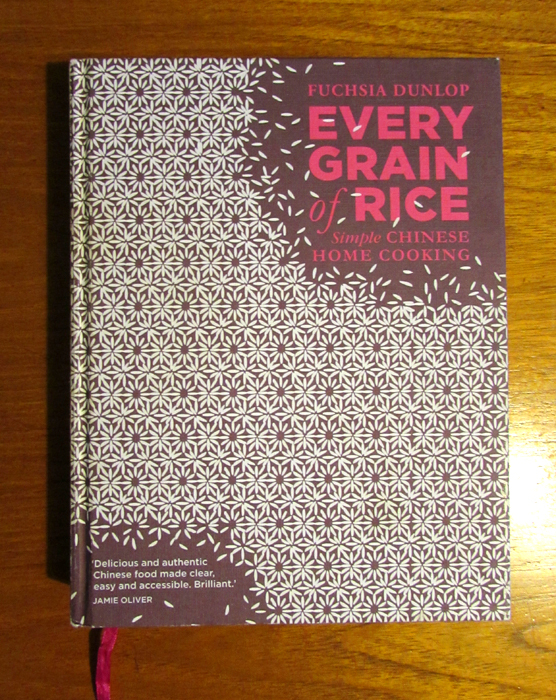 This was the first book I started experimenting with oriental recipes from when I was a teenager and really starting to get interesting in cooking. It is a fusion of Indonesian and Chinese cooking and the recipes don’t taste like anything else I have ever eaten. Even after all this time, I return to this book for some classic recipes my family have been cooking for years. This is now long out of print, but can be bought cheaply on Amazon or eBay. I have bought several copies of this book for family members in charity shops, so always worth keeping a look out! -Sweet and Sour Prawns in Tamarind Juice, an amazing syrupy seafood dish with a sour tang from tamarind and sweetness from palm sugar. -Spicy Chicken with Basil leaves, reminiscent of a thai curry with chilli kick and coconut milk, this was one of the first recipes I ever cooked from this book. I remember cooking for my Dad for Father’s day once many years ago. -Smokey Broccoli with Ginger, a great side dish to serve with any oriental meal. I love recipes that take something and do something really different with it. This recipe, with the oyster sauce and ginger, really add to the natural subtle flavour of the broccoli. In 2013, I was lucky enough to go to China for two weeks for my brother’s wedding. Having never been outside of Europe and with a love of Chinese food, this trip was an amazing experience for me. It also opened my eyes to how different Chinese food is to the Westernised Chinese food in restaurants and takeaways . When I got home I was desperate to try to recreate some more authentic recipes and was recommended this book by my brother (we are a family of foodies!!). This was the first time I cooked something Chinese that truly tasted like what I had eaten in China. Not only that but the guide to obscure ingredients with pictures at the back is invaluable, as often ingredients in the Chinese supermarkets can be under several different names and difficult to find. -Sour-and-Hot Silken Tofu, this recipe makes an easy lunch to whip up quickly and is a taste explosion. It’s an amazingly warming, tasty dish with a topping of crunchy Bombay mix, not something you expect to see in a Chinese cookery book! -Tuzi’s slow-cooked pork belly with red fermented tofu, this is a really odd looking and sounding dish and I only tried cooking it because I had had something similar served in mantou buns in China. I cannot describe the flavour accurately to you- it is really unusual but really tasty. I always use pork belly strips instead of the ribs it suggests. -Gong Bao Chicken, this is the authentic version of what we know as kung po chicken. It is quite different to kung po and my husband still prefers the Western version, but this is well worth a try and very similar to what I ate in China! I was a little sceptical of this cookery book when I first started watching the TV series that went alongside it. 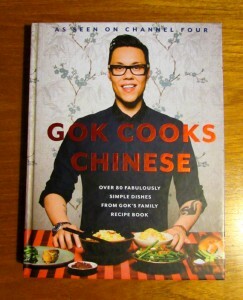 Gok is a fashion expert, what does he know about cooking? However, this is actually one of the best Chinese cookery books I have found for creating dishes that taste like what you get from a takeaway or restaurant. He also creates more healthy versions of some of the deep fried dishes that we are used to seeing on takeaway menus. -Spicy Sichuan Chicken, one of my husband’s takeaway favourites, I have cooked this recipes a lot. I do however substitute the peanuts for raw cashews, roasted in the oven until golden. -Chilli and salt squid, this is my takeaway favourite. This versions isn’t deep fried in batter and so makes a dish with all the flavour and is also healthy. 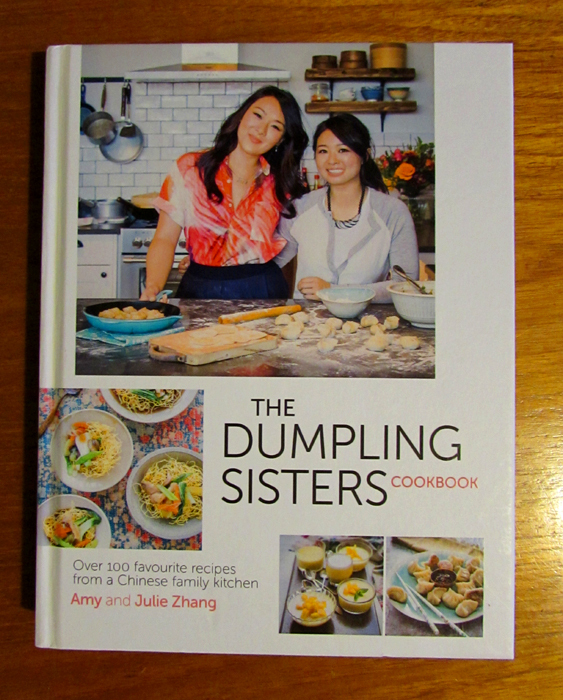 Another great Chinese cookery book, I discovered the Zhang sisters’ blog earlier in the year. 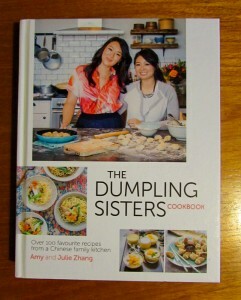 This book has lots of recipes for dumplings, wontons etc as well as Chinese classics. I also like it for its section on desserts and sweets at the back, as you don’t often find these in oriental cookery books. -Whole Steam Fish, up until recently I was a bit scared of cooking whole fish. But this seabass dish is a perfect, healthy, tasty dish that is easy to prepare. -Spicy blistered beans, this work so well alongside something more delicately flavoured, like the seabass above. -Pandan cake, as soon as I saw the picture of this pale green cake, I knew I had to try to bake it. Flavoured and coloured with pandan essence, it has a lovely light texture and perfectly follows a Chinese or Japanese meal. Posted in Guides and tagged Cookery Books, Guides.